We Believe Alternative Energy is the Future! Due to the recent increased cost of energy, many of us are looking for alternative ways to help supplement out heating expenses. D&D Stoves is a proud authorized dealer for Amaizablaze, Magnum, St. Croix, Napoleon, DS Machine, Woodmaster, and Portage & Main units. We strongly believe in being self sufficient and independent of foreign oil. 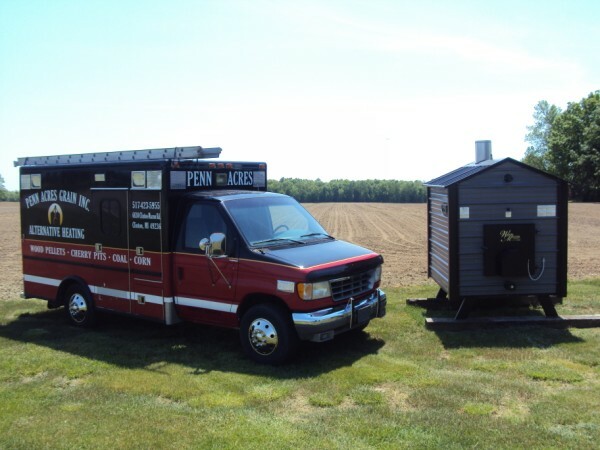 Whether it is a small indoor stove or a full forced air or outdoor water furnace system, we can help. Has a large selection of multi fuel stoves. Offers a variety of multi-fuels. Will deliver any stove we sell. Can arrange installation by licensed mechanical contractor. Accepts Visa and Master Card.